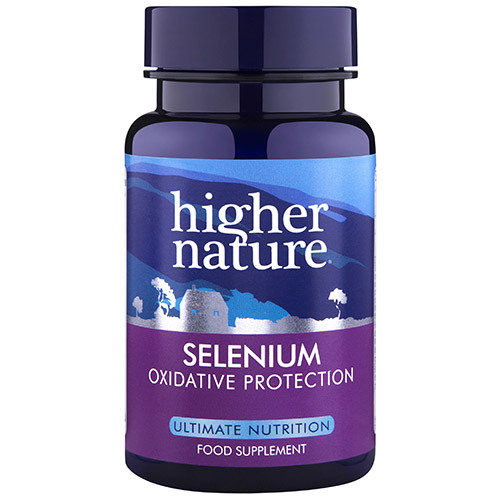 Selenium is needed for the body’s own antioxidant enzyme, glutathione peroxidase. Selenium helps maintain cardiovascular health, the immune system, liver, male reproductive function, eyes, skin, hair, pancreas and joints. 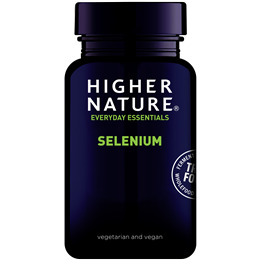 Selenium is a trace mineral that is essential in maintaining and supporting good health. Selenium is incorporated into proteins to make selenoproteins, which are important antioxidant enzymes. Natural Lithothamnion calcarea; selenium (as selenomethionine prep. ), anti-caking agent: silicon dioxide; anti-caking agent: magnesium stearate*; zein protein coating. Take 1 tablets a day (children over 8 years, 1 every other day) with a meal, or as your health professional advises. Below are reviews of Selenium - 60 Tablets by bodykind customers. If you have tried this product we'd love to hear what you think so please leave a review. Selenium helps maintain and support cardiovascular health, the immune system, liver, male reproductive function, eyes, skin, hair, pancreas and joints.